Welcome back to our weekly post on the Superversive Literary Movement. This post is on one of my favorite things of all things: Christian Magic. This post is not on that. For decades, there has been a large gap between traditional fantasy stories and Christian stories—fantastic or otherwise. This gap is growing smaller, especially with the existence of such things as Enclave Publishing, which specializes in Christian fantasy and science fiction. However, if the gap has been crossed successfully, more than possibly a few times, I have not yet heard about it. It is the gap between the wondrous and the pious. The traditional fantasy stories include very little reference to Christianity. Many are overtly anti-Christian. The Christian stories, on the other hand, tend to be overtly pious, with no ambiguity or deviation from the particular strict doctrine. I don’t know about you, but my life is not like that. My life is more like being behind enemies lines. All around me is the secular world, filled with its terrors, its sorrows, its terrible doubts. I find myself challenged from all directions—both by the difficulties of life and by the skepticism of mankind. Those who are not Christian question my reliance on God, and many who are want to argue with me about the particulars of how to worship. Yet, in the midst of all this comes glimpses of brilliant light, as if the Hand of God itself reached down from Heaven and touched some aspect of my life. Many of them would not convince a skeptic. They are too subtle to point at: a sudden release from dark thoughts, an unexpected change in a seemingly hopeless situation. But some are more obvious: poison ivy on a baby instantly healed, a baby with a high fever instantly healed, back pain instantly relieved, Lime’s disease, which had progressed to such a degree as to cause semi-paralysis, instantly healed. The list could go on and on. To continue, however, would be to miss the point, which is that it was not the physical changes that made the events so amazing, but the spiritual uplift that came with them. The moment when there was no hope—and suddenly, hope was present after all. That is what I find missing from most overtly Christian stories, that moment when something totally unexpected but totally real happens. How could they be there, if the religion is so obvious that no one could miss it? Where are the stories about people who discover the wonder and majesty of God, the way cleaning maids come upon unicorns or farm boys discover that they are Jedi? Where are the stories that are as amazing as what happens to Gideon in the Bible? Or to Elisha? Or to Jacob? At this point, I must digress and discuss the purpose and meaning of magic in stories. In real life, I am not a fan of magic, if by magic, you mean the occult: casting spells, reading tarot, praying to gods, and other things that try to usurp the power of the Creator into our own hands (or the hands of some lesser power). I don’t personally find these things offensive. I have friends who enjoy them regularly. However, my personal experience suggests that those who engage in such pursuits may ultimately regret having done so. But is magic in stories the same as magic in life? I believe that it is not. Or rather, I believe that magic in stories can have two different interpretations or purposes. The first is the same as real life—the occult. 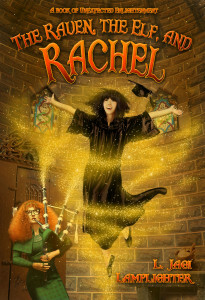 People who worry that reading fantasy will lead to interest in the occult are worried about this interpretation. And they may have some grounds for concern. I fear good Professor Tolkien would be rolling in his grave if he knew how many modern Wicca had found their way to their current beliefs by first stepping upon the path trod by Bilbo. (Spinning fast enough to run a generator…but I digress. This is not an essay on Tolkien Power.) I personally have a family member who pulled out his tarot cards and crystal ball every time a new Harry Potter book came out. But, then, my family member is mentally ill and may not be a good indicator of the reading population in general. The second is as analogy, when magic in a tale represents the sense of wonder that would come from greater things in real life. In this sense, the magic in a story represents the existence of wonder, of things greater than our eyes ordinarily show us, of hope. Because, when praying, faith is required—and by faith here, I mean, specifically, a willingness for the prayer to actually be answered. One of the things that kills faith the quickest is doubt, lack of hope, a sense of certainty that the bad situation will never yield. This tends to interfere with the sense of acceptance of good often necessary for miracles. So to the degree that magic in a story reminds us that there is more to life than what we see—that we should be open to the new and unexpected, to hope—I see it as a very positive thing. Perhaps, there are those who read fantasies and turn to the occult, but then I also know people who, even as adults, credit their coming to Christianity to having read the Narnia books as a child. Let me use an example: In the movie, Polar Express, the young man doubts the existence of Santa Claus. He wants to believe, but he doesn’t want to be fooled, bamboozled. There are two ways a Christian can take this. 1) This movie encourages belief in an idol, Santa Claus. It does not talk about God or Jesus, and thus takes away from the true meaning of Christmas. It is blasphemous. 2) The boy’s struggle concerning his faith in Santa Claus is an analogy for our struggle with our faith in God—where we want to believe, but we don’t want to discover t hat we’ve been fooled, bamboozled. This analogy reminds us of our own struggles and leads us to examine our faith more closely and thus is a signpost on the path to God. This second option is how I, personally, view this movie, which is why I love it so very much. I always walk away feeling inspired to renew my efforts toward a more perfect faith. And this is how I view magic in stories—not as a symbol of the occult, but as an analogy to help wake us out of the dreariness of our false concept of real life. It reminds us of that the real world is much vaster and more wondrous than we tend to give it credit for. So, having come this far, what is it that I mean by Christian Magic? I mean when something happens in a story that feels like magic-all marvelous and wondrous—but its source is Judeo-Christian, rather than occult or pagan. If you can read the last line and not have your heart lift, even slightly, this post—and the whole Superversive movement—is not for you. And it may not be. No literature is for everyone. But if you read this, and the notion that Death itself would start working backwards touches something deep inside you—like a finger from on-high brushing the harpstring of your soul—and your whole being thinks: Yes! Then, this whole effort is for you, just for you, and for those who—to paraphrase John Adams from 1776—see what you see. October 22, 2014 in Superversive. ← Today is the Day! 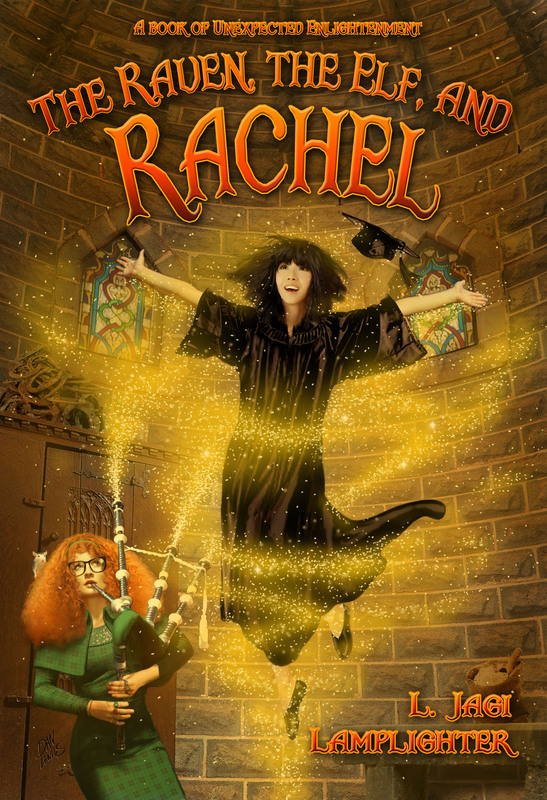 Buy Now: The Raven, The Elf, and Rachel!